Francis Roger "Jack" Clemens, born August 11th, 1911 in Ouachita County, AR, was a professional baseball umpire from 1935-1941. Clemens was a football player at Magnolia A&M until he left arm was severed in a bus accident. He graduated from the school in 1932 and transferred to Henderson State in Arkadelphia, AR where he graduated in 1934. In 1935, Clemens attended the George Barr Umpire School . Afterwards, he earned a job umpiring in the Arkansas State League. 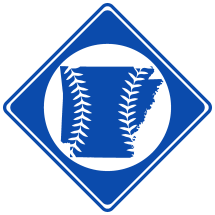 In 1936, 1938 and 1940, he umpired in the Arkansas-Missouri League, as well as the Southeastern League in 1937 and the Arizona-Texas league in 1941. He was also later the commissioner of several semi-pro leagues in Arkansas. Clemens taught during the offseason and eventually became the principle of Willisville High School and Magnolia High School where he was employed for 31 years. Clemens died May 17th, 1997 in Magnolia, AR. He was buried in Magnolia Memorial Park Cemetery.